This is a list of Star Trek audio production, listed alphabetically by name. Drama is in red/brown, Comedy is yellow. Audio books are in light blue. Audio Books, listed in light blue, are different than Audio dramas. No attempt is being made to include all of them in this listing, while we are attempting to include all Star Trek Audio dramas. Audio books are listed in light blue. However, both Audio Dramas and Audiobooks can be listened to during a commute or exercise. 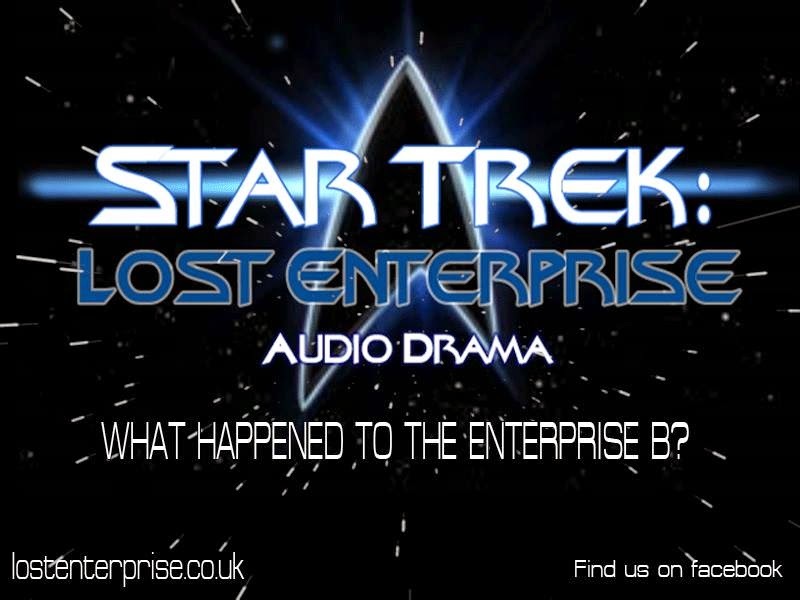 Some historical data can be found dotted about the web about past Star Trek audio drama productions which might give you hints to search for "lost shows"
Based on short stories by TrekUnited members, this tells the story of the war, not from the perspective of those who fought it, but from the perspective of the news agencies that reported it. While hosting a small group of elite cadets from Starfleet Academy, the U.S.S. Equinox comes under attack from a Cardassian force commanded by Gul Malek. With most of the senior staff injured and out of commission, three cadets must help save the ship from enemy capture. (58:16) Aug 19 2013 This was a dead link as of Oct 17 2017. Star Trek Reviewed has contacted their Facebook page asking for an update and for a current download location for this episode. 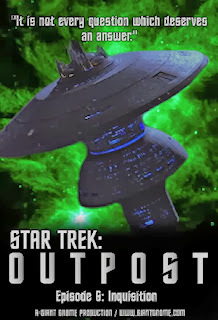 A video trailer was released, driven by the involvement of Star Trek alumni actors, John Savage, who played the original Captain of the Equinox on Voyager, and Gary Lockwood, who appeared in the Shatner pilot in TOS. Announced in 2014-15, it has since been discontinued and the audio drama is to go ahead. See mentions on Blog 210 and Blog 100. 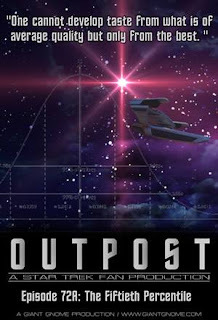 On Jun 30 2016, on their Facebook page, they announced that after learning that the new regulations from CBS / Paramount did not apparently apply to audio productions, they were resuming production in early July re-titled as simply "Equinox". The intention was to release episode 1x00 "Launch", re-release episode 1x01 "Shakedown", and then episode 1x02 "The Array" - "Launch" and "The Array" are two previously planned episodes. 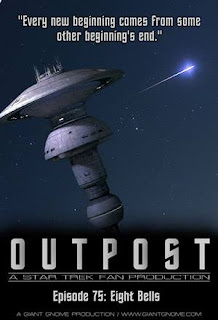 There was also talk of an original sci-fi audio series. On Oct 06 2016 they announced on the Hidden Frontier Productions website, "Work on remastering has been suspended until we learn whether or not legacy materials are covered under the [new] guidelines." 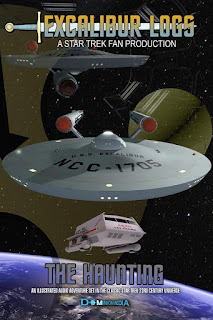 Golden Age; (not to be confused with the three other audio and video shows with the name Star Trek: Excaliber) Described as 'an illustrated audio drama' by it's creator, Gary Davis, it can be enjoyed as audio only or by watching the 2D low-quality animation on Youtube. Made with mechanical voices, Gary is currently casting for voice actors to re-do the production. 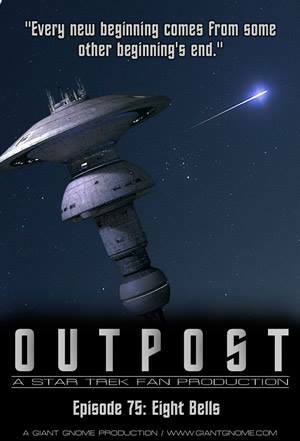 Released under the banner of Dominion Media with David R Wrenn the producer of Star Trek: Outlaws. Note the revised opening credits released on Apr 01 2017 lists the new cast. Re-release renamed The Haunting An illustrated Audio Drama, with real voice actors, not electronic voices. https://www.youtube.com/watch?v=EufZa4_KQA4(1:07:44). The crew of the USS-Rebirth are docked at Andoria awaiting their new doctor when everything changes. Episode 1 of a planned new audio drama series from the makers of Star Trek: Requirius. There was a video trailer made for episode two but is is a dead link as of 02/04/2016. 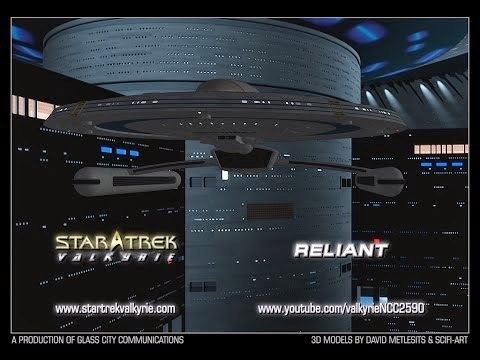 Produced by Shady Beach Productions, it features some of the same individuals as the fan film series, Star Trek: Requirius, for which see Blog 91. Fictionshed has recreated - for the first time! - the early episodes of the TV adventures that made the crew of the N.S.E.A Protector a household name between 1979 and 1982 and propelled the actors onto the convention circuit where we saw them in the hit film "Galaxy Quest". Was it fiction or did Fictionshed's Mike Morley discover the original video tapes, horrendously damaged, in an old studio basement in uptown L.A. in 2012 - the only ones known (or imagined) to be in existence. 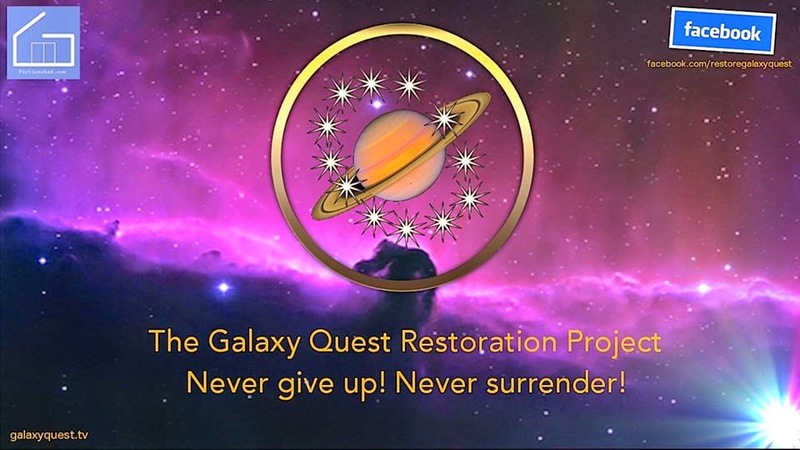 The video damaged beyond repair, expert James Johnson of Johnson's Media Factory of Avon Lake Ohio, was able to salvage and digitally enhance the audio tracks to make the Galaxy Quest Restoration Project possible! 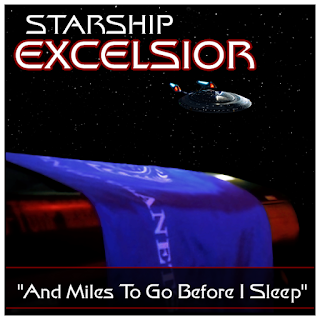 Fictionshed have produced a fictional action / comedy Audio series about a fictional TV series featured in a movie whose plot is a satire of a real TV series - Star Trek! Review by Starburst magazine. 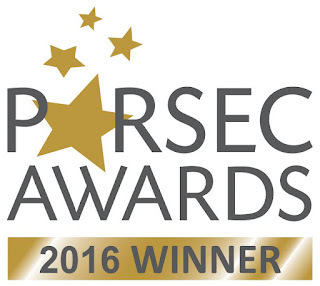 Episode 3, Balance of Darkness, was a finalist and ultimately, the winner of the 2016 Parsec awards in the 'Best Speculative Fiction Audio Drama (Short Form)' category. Video teaser, Website, Facebook, RSS. 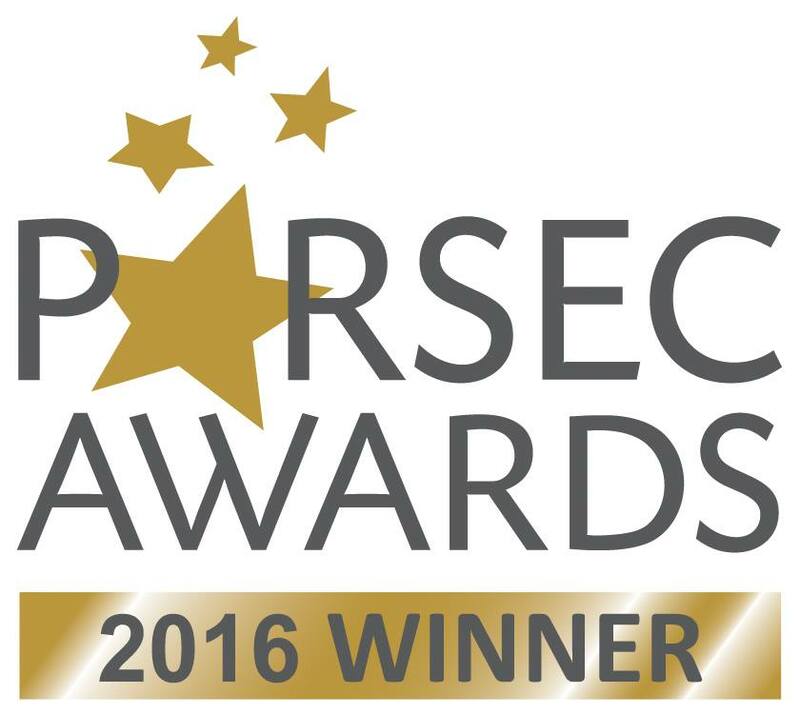 Sep 05 2016, "Balance of Darkness" won the 2016 Parsec Award for Audio Drama, short form. Klingons Haukj, G'hargh,Korrath and their companions meet to share stories of honor and glory, discuss the state of the empire, and drink blood wine. 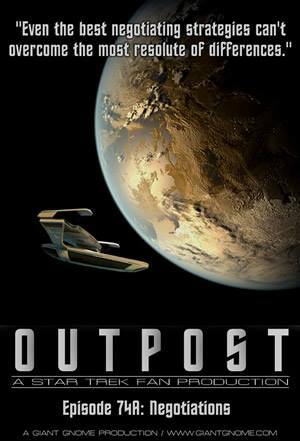 Commentary, comedy, storytelling and drama based on the Klingon & Federation Factions in Star Trek Online. 40. Temporal Foundry Contest Winners! 45. The Pirate Guild Awards Teaser?! 46. Pirate Guild Awards Teaser 2! 53. 3-1 Revenge: It’s For Dinner! 54. 3-2 Vengeance is Life! Henglaar M.D. 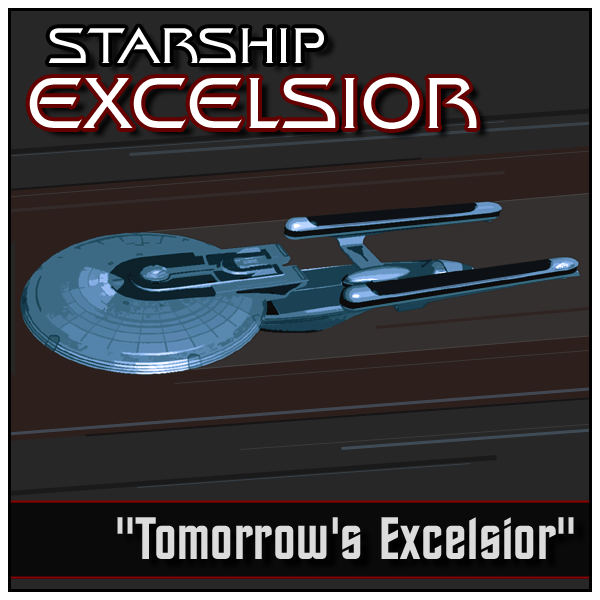 stars the ex CMO of the USS Excelsior from Hidden Frontier as he tries to forget his past and moves into teaching. Facebook. RSS. Free iTunes. Streaming on tunein. 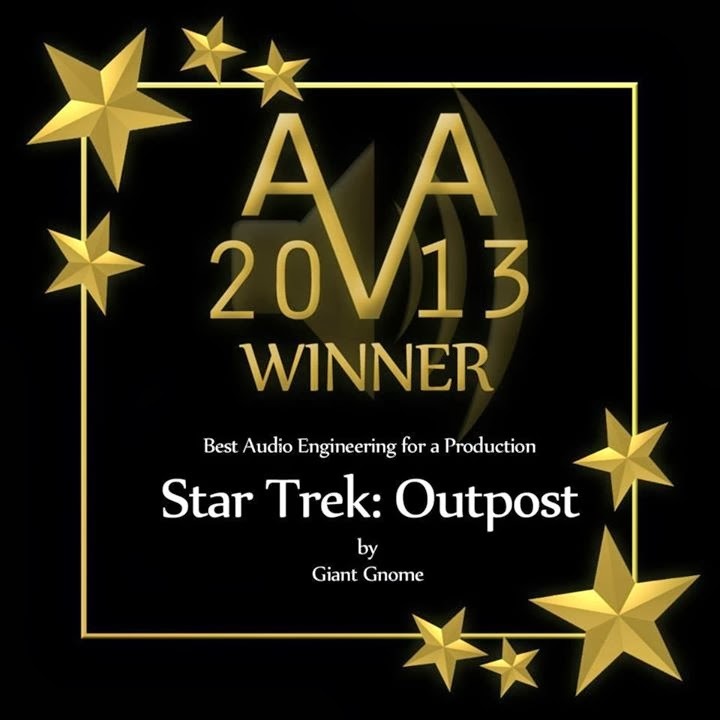 Formerly Star Trek: Outpost, this audio drama by Giant Gnome Productions was the winner of the 2013 Parsec Award for Best Long Form Drama, the first fan production to ever win this award and followed it up in March 2014 with another win! Listen to the awards ceremony HERE. In October of 2012, I listened to episodes 9 through 14, and enjoyed them, too. Eps. 15 on 12/17/2012, also enjoyable and memorable. Likewise Eps. 16 and 17 on 12/19/2012. Episode 18 was great on 2/17/2013. Episodes 19 and 20 on 7/25/2013... the memorable characters were as sharp in my mind as if I had listened to 18 last week. Chapters 21, 22 and 23 are a sequence based on A Christmas Carol, with the Captain of the station as the 'bah humbuging' character seeing ghosts of past, present and future. 24 follows up 25, 26, 27 and 28 (which I listened to in the first three months of 2014) start a new adventure. On Sept. 1, 2014 I listened to Episodes 29 and 30, which was the same time period, but at a different location with other characters. 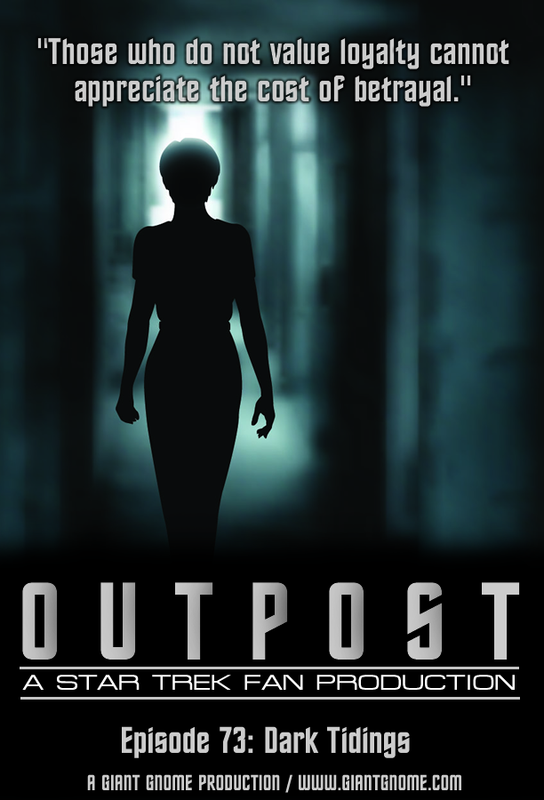 I started doing physical therapy twice a day, and listening to ST: Outpost during my prescribed exercises, generally finishing just under half and episode each day. By September 27, I was listening to Episode 37. and around October 10, I completed Episode 45. November 4, I had completed Episode 51. This is a great thing to listen to when doing a physical task that does not require a lot of attention. If I commuted, this would DEFINITELY be on my Ipod or other listening device to entertain me during the daily grind of commuting. 71 Episodes as of 1/13/2016. Episode 42. "Profit in the Wind, Part II" Released December 5, 2012. Episode 54. "The Inside Man." 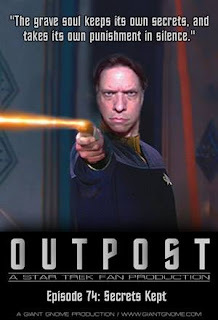 Released January 3, 2014, posted January 5, 2014. http://www.giantgnome.com/2014/01/star-trek-outpost- episode-54-the-inside-man/ (53:55). Online listening only: http://bit.ly/1crzrtj . Episode 55. "Bits and Pieces." Last episode of Season 5. Released Feb. 5, 2014. http://www.giantgnome.com/2014/02/star- trek-outpost-episode-55-bits-and-pieces/ (59:36). Episode 64, Part 1, "Echos" Part 1. Episode 9 Part 1 of Season 6, Released December 5, 2014. 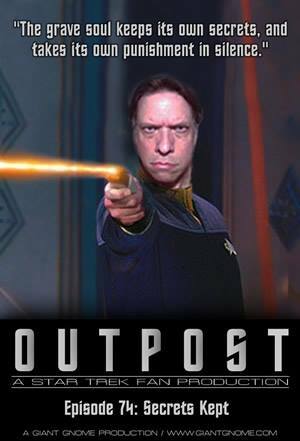 Listen or download here: http://giantgnome.com/2014/12/star-trek-outpost-episode-64-echoes-part/ (54:37). 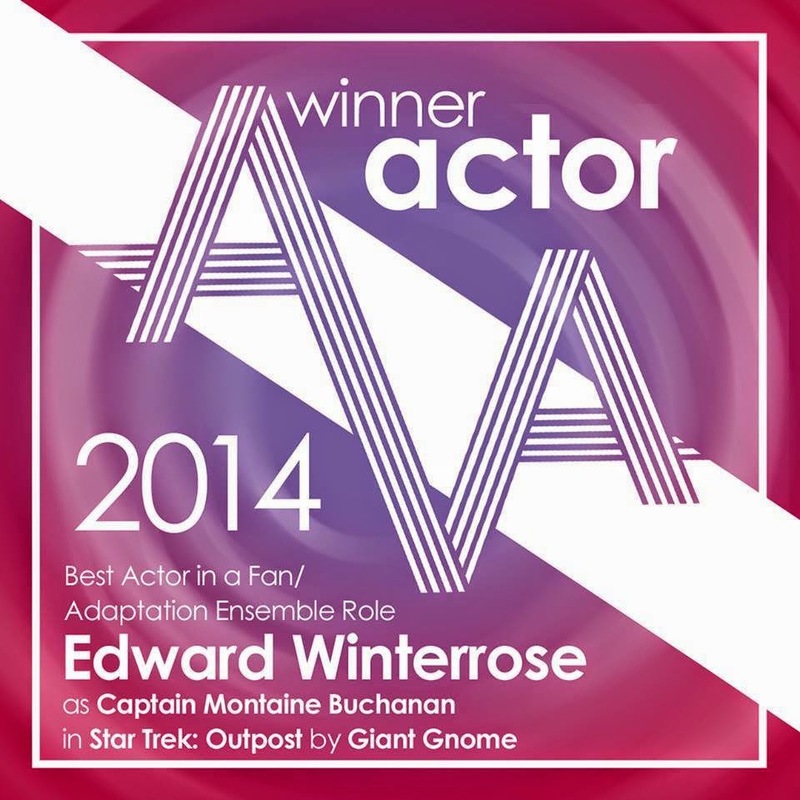 As of December 17, 2014, Edward Winterrose, who plays the role Captain Montaine Buchanan has won Best Actor in A Fan/Adaption Ensemble Role from the Audio Verse Awards. 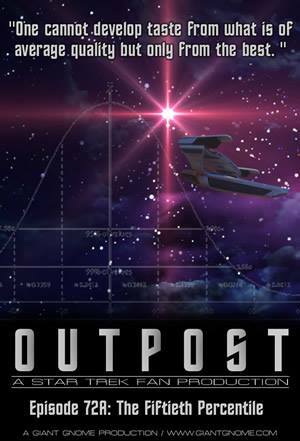 Episode 72A, which is Episode 10 of Season 7, "The Fiftieth Percentile" (released 9/23/2016), Listen or download here: https://giantgnome.com/2016/09/outpost-episode-72a-the-50th-percentile/ (16:33). Episode 75, which is Episode 14 of Season 7, "Eight Bells." 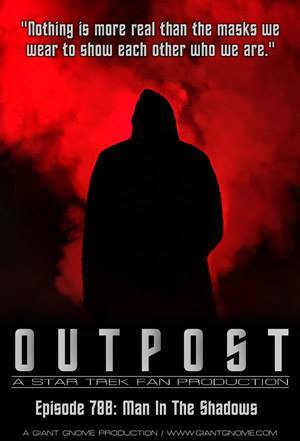 Promo released 10/09/2017, full episode released 10/10/2017, Listen or Download here: https://giantgnome.com/2017/10/outpost-episode-75-eight-bells/.(1:12:28). Episode 78B, Which is Episode 4 of Season 8, "Man in the Shadows," (released December 25, 2018), https://giantgnome.com/2018/12/ggp-sto-ep78b-man-in-the-shadows/ (12:51). The personal log of starfleet officer Robert Thomas of the Spaceship Eberswalde in the 25th century. On May 7, 2016, Spaceship Eberswalde, Germany's first Star Trek audio drama podcast celebrated Star Trek's 50th birthday with 7 new releases, bringing them to a massive 508 episodes over 14 years! 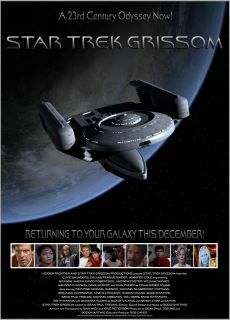 Thanks to eMBee for discovering this missing fan Trek series! More information about this resurrected fan series can be found in Blog 220 which is dedicated to German Language productions. See under Star Trek: The Section 31 Files. Shoestring Radio Theatre was a San Francisco-based, non-profit radio drama company, delivering a wide range of genres from drama to comedy. Founded in 1988, the program has aired locally in the Bay Area on flagship station KUSF-90.3 FM (University of San Francisco) since 1991 and on the Public Radio Satellite Network since 1993. One of three short productions, Captain's Log, Accidental was part of a 30 minute "Sci-Fi Comedy Extravaganza", written, directed and produced by Randy Parker. It premiered locally on KUSF & BSB in May, 1994 and nationally on the Public Radio Satellite Network in October, 1994. 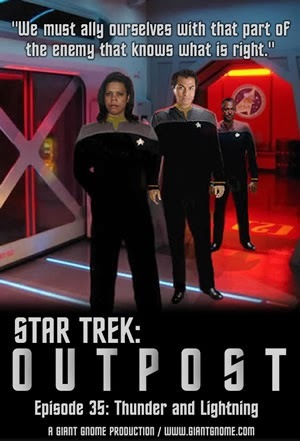 The crew of the starship Exitprise encounters one obstacle after another while attempting to deliver a vaccine to plague victims in this 12-minute "Star Trek" spoof. A Halloween audiobook-style mashup of what would happen if Beverly Crusher encountered Jack from the Shining, as Jack Crusher. A "bottle episode" from Omega Ordained. A fan fiction audiobook from Steve Shives, a spin-off from his vidcast, Trek, Actually. Jean Luc Picard's friends come to terms with his death. Star Rabbit Tracks is the brainstorm of Capt. John Tadrzak of Misfits Audio and, although this production is aimed at a juvenile audience, it has a charm and nostalgia that can entertain even the most jaded adult. 1.7: You Know How To Whistle Don't You? 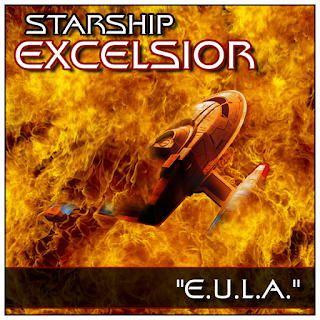 Embark on a journey of imagination and the human spirit with the crew of the Starship Excelsior as it flits between the stars of Gene Roddenberry's Star Trek universe. Exploring new life and new civilizations, she and her crew help chart the paths of the human experience and along the way, they are party to triumph and tragedy, choice and consequence, friends and jokes and snowball fights. 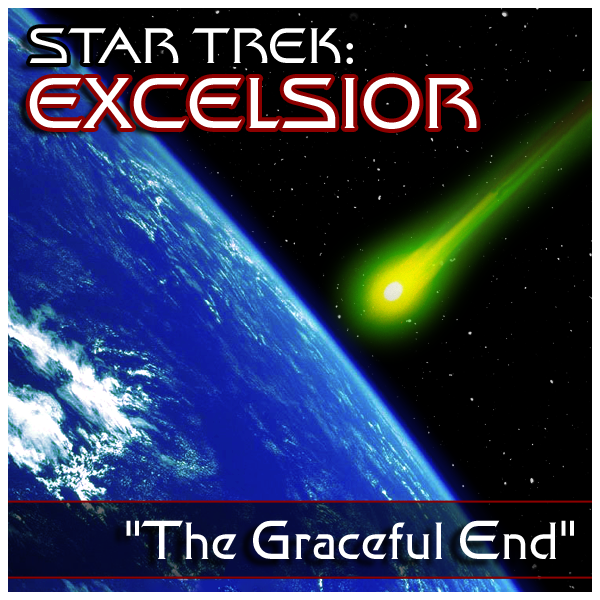 Previously 'Star Trek: Excelsior', this long-running audio drama series is arc-based across four seasons, character-driven, and very involved. Like most older fan productions, they have developed and improved immensely since their beginnings and in an interview on The Limey Frog in November, 2015 (part 1 and part 2), the creator, James Heaney, in giving a fascinating overview of the series, recommends that new listeners skip Seasons 1 and 2. A Boxing Day standalone episode—not in series continuity—in which the crew confronts pain, and discover things about themselves that they would rather not have known. Dec 26 2009 (1:04:29). A planned animation project based on "No One Gets Out Alive" was started but never got past a promo video which is still available on Youtube, here. Ever wonder what happened to those nasty parasites from TNG's 1st season episode, "Conspiracy?" Here's your answer! Starting Nov 19 2015, they have commenced a Kickstarter campaign for a special 50th Anniversary Episode to include Nichelle Nichols and Walter Koenig. 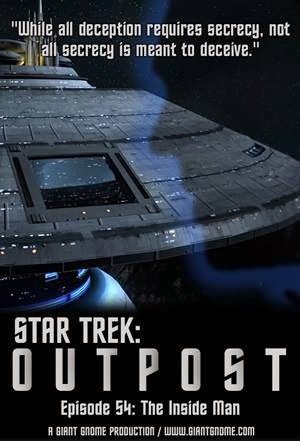 Takes place in 2328 (late Golden Age) during “the lost years” of Star Trek (between the time of The Original Series and The Next Generation) aboard an Ambassador-class starship, the first command of Captain Michael A. Decker. 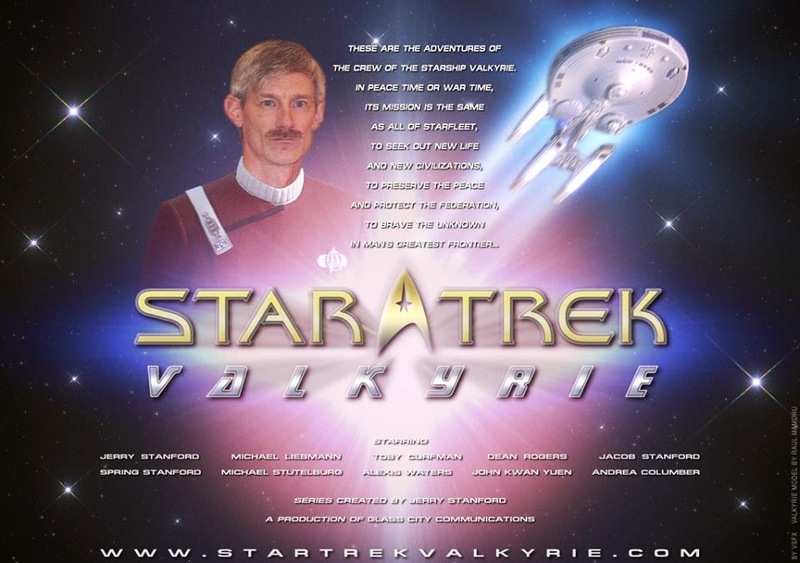 Formerly Star Trek Ranger, this full cast audio series was created and produced by Glass City Communications - Jacob Stanford and his father Jerry - inspired by Jerry's series Star Trek: Valkyrie. Website, Facebook, Star Trek Channel or Youtube. 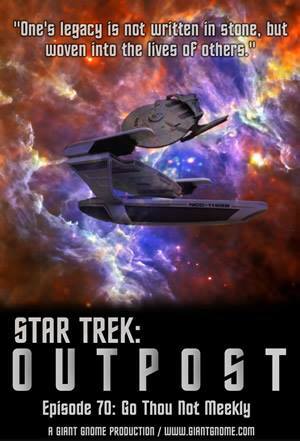 Starship Saladin A Christian Captain copes as a minority faith in the Star Trek Universe. He has expressed the hope that their first animated episode will be released in 2013. His link at the Star Trek New Voyages forum was actively being updated January, 2013. Star Trek: The Adventures of Dean France, an audio drama, Episode 1, "Marooned," https://www.youtube.com/watch?v=VC8Zl9EGIwU(36:21). Has links to 8 episodes as of May 19, 2014. They completed a six episode season. They released a trailer and prelude for a second season On March 30, 2011. However, by December 24, 2013 The Website was down and there was no clear place to go to get these episode for somebody who wanted to listen to them. It was back up by May of 2014, and you can get the episodes safely there. In addition to being discontinued, as of June 4, 2012, this Fan Audio Drama was taken down. There were 67 episodes as of 5/09/2012, just before the effort was abandon and removed from the internet. On June 1, 2014, a person posted the episodes in the original MP4 format, and gave me a link, but not permission to post it that link here. Leave a comment below (comments do not post automatically, I review them and only post ones that do not contain e-mail addresses or inappropriate links.). Include your e-mail address and your agreement to not publish the link to Star Trek: Defiant or to pass it along to anyone who will not make that promise. 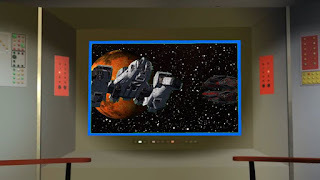 We'll send you the link to Star Trek Defiant in the original MP4 format privately. 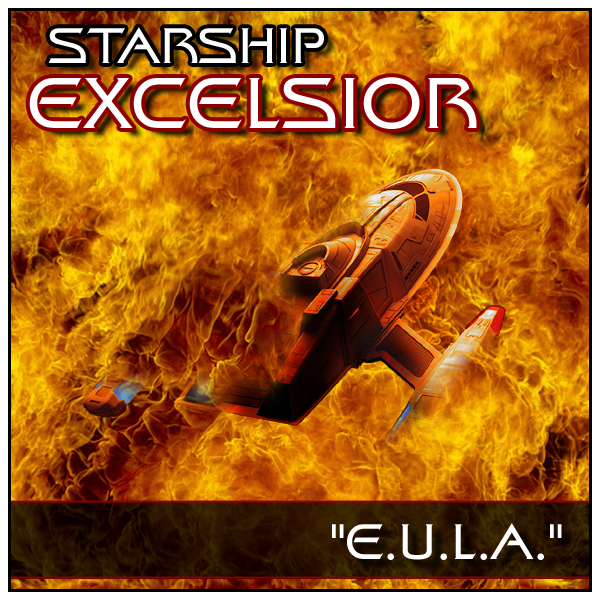 You can also get the link if you send an e-mail to startrekreviewed@gmail.com with that same promise. I was also told that the first three seasons can be found as a torrent on Demonoid together with a lot of professional audio materials, but I haven't checked. See in comments, below, for more discussion. There is an introduction and three episodes, the last release was in August, 2009. This has been relabeled Season 0 in anticipation of re-opening this series (4/19/2013). No further progress as of Dec. 24, 2013. Star Trek: Discovery.,br /> Facebook page: https://www.facebook.com/pages/Star-Trek-Discovery/475797712487633?fref=nf. Renamed: Star Trek: Evergreen. For information, see Star Trek: Evergreen. This series spans the entire period of Star Trek with a multi-generational story. 6 episodes as of 12/30/2011. Episode 7, "Starboard Bow," http://www.twerponline.net/eras/episode107.htm . Released 12/20/2015. Star Trek: Evergreen. ; Facebook page: https://www.facebook.com/pages/Star-Trek-Discovery/475797712487633?fref=nf. Renamed: was Star Trek: Discovery. "One of the most popular characters from the fan film, Star Trek: Hidden Frontier, makes the transition from Video to Audio as this series follows the Federation President Videnpawl and her aides. Set in 2380, after the events of Star Trek: Nemesis but before the supernova that destroyed Romulus. It follows Commander Brunhilde Engelstadt, coming back to active duty after a leave of absence after the Dominion War, and her first mission as First Officer of the U.S.S. Galilea, a planetary research vessel. On June 18, 2017, they announced that, for the time being, the adventues would continue in prose. A Science crew finds evidence that the Enterprise B found it's way to the Gamma Quadrant. English production, Silver Age. On Sept, 19, 2014 Karl Dutton mentioned on their Facebook page that they had been approached by a 3D animator who wanted to turn their show into an animated film. PodOmatic. It is the dawn of the 25th century and the galaxy is coming out of a period of great war. 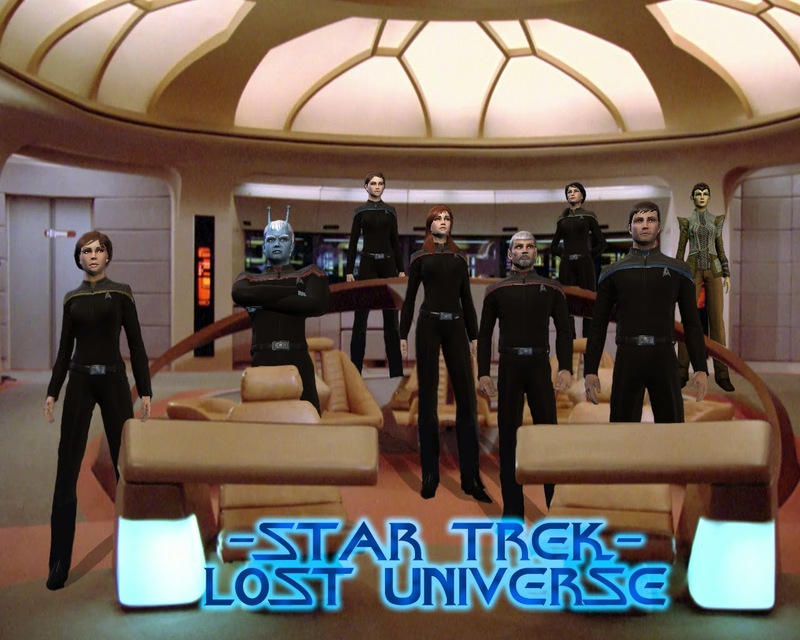 The story of Lost Frontier focuses on the crew of the new Enterprise F as they go forth to unite the lost worlds of the Federation. Review of Episode 14 at Leviathan Dances. Seventeen episodes as of 8/7/2012. The USS Jamestown, an experimental, Nebula Class vessel finds itself trapped in an alternate reality. Where the Romulan Star Empire has conquered nearly the entire Alpha Quadrant. Without allies and without a place to call home, the Jamestown begins a one-ship-rebellion against the Romulan Star Empire in an attempt to restore what was once a shining light in the Alpha Quadrant. 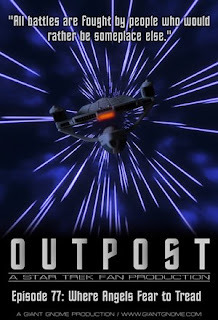 An audiobook originally written in script format as a fan film that was unfinished and never released according to STExpanded.com. An introduction and the first two parts of the three part pilot episode were narrated and recorded by the author and are available on Podcasts.com and iTunes. It appears to have been the basis for an attempted video project of the same name in the UK. Their episode download page says, 'production of Episode 1 is done' and 'coming in May' as of the end of August 2009. There have been no changes to this site since then, as of July 24, 2016. 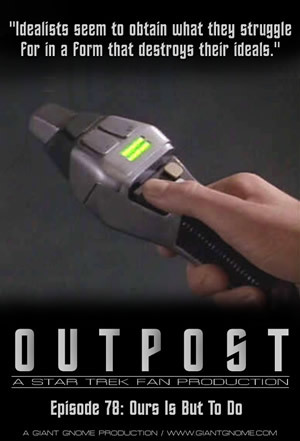 A second website transitioned the series into a text-based fan fiction series, to be followed by a third, expanded website on Tripod, where you can read the rest of season 1 and the half of season 2 that was written. BR tried to e-mail them in Dec 2013 with no response. Star Trek New Beginning. Short 'episodes' Appears tobe about DS9. No change Dec. 24, 2013. 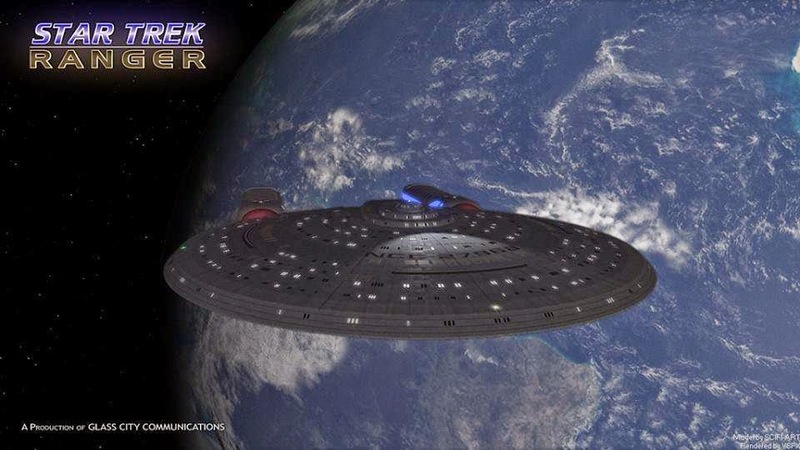 Star Trek: The NewFrontier (audio) http://www.circus13productions.com/trek/index.shtml 1 episode released prior to 2008. No more as of December 24,2013. 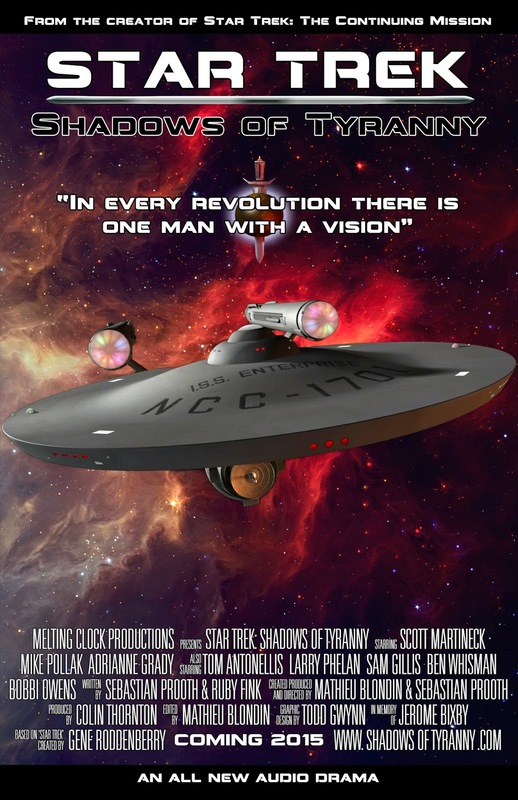 The penultimate episode of the Star Trek: Hidden Frontier fan film series! The preceding episodes of this spinoff series from the cast and crew that gave us Star Trek: Hidden Frontier were done as fan films and are listed on Star Trek Reviewed Blog 102. The storyline was concluded with the fan film Tossed Upon The Shore. 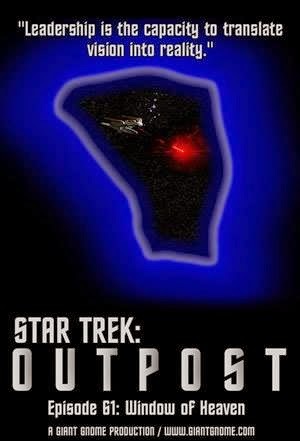 Star Trek: OutlawsStarTrek: Outlaws (proposedseries) . 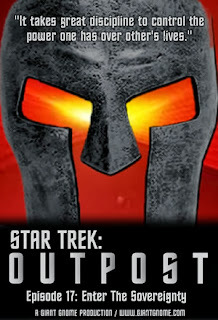 see website, here: http://dwrenn5.wix.com/star-trek-outlaws. Episode 2, "The Winds of Hope," Listen on You Tube, https://www.youtube.com/watch?v=2YvMzlZHNFs (51:44)or Soundcloud, https://soundcloud.com/randy-wrenn/private-st-outlaws-e2-the-winds-of-hope-audio (51:43). 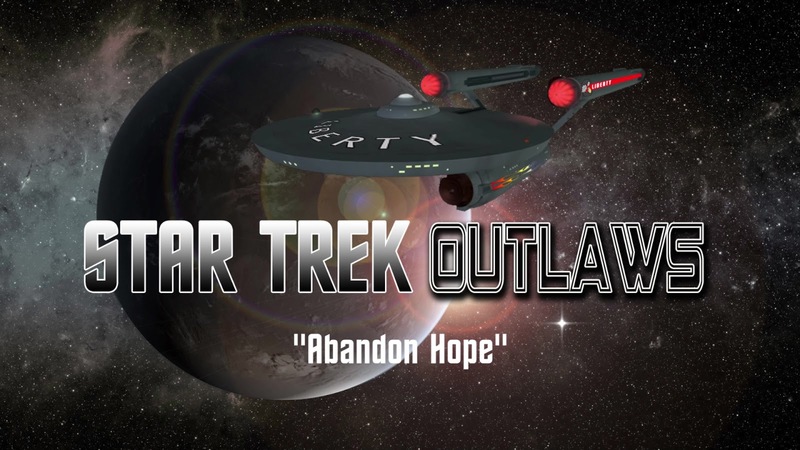 Episode 3, "Time Enough for Hope," Listen on You Tube, https://www.youtube.com/watch?v=U4vbcWmnv98 (46:32)or Soundcloud, https://soundcloud.com/randy-wrenn/star-trek-outlaws-time-enough-for-hope-audio-version (44:28). Episode 4, "The Narcissist's Dream," https://www.youtube.com/watch?v=6Ibc6vYhLtM(38:42). Seven episodes,following a newcrew and new Insignia class starship,the USS Pioneer. During a routine mission of exploration, theFederation discovers a gateway to the other side of the galaxy findinga whole new frontier waiting to be discovered. The USS Pioneer is theforerunner in the exploration of this new area of space, and all thedangers, new enemies, old friends, and mysteries it has to offer. 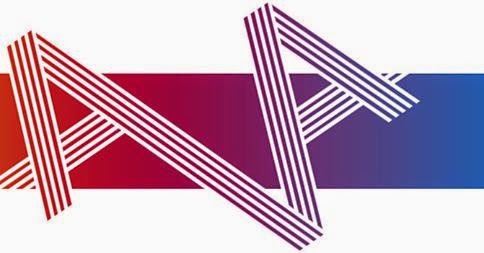 The work of Kevin Cho, started in 2003 at the tender age of 14,originally working with Chris Edmund (ST: Morning Star) as part of'Starship Independence Audio Studios' then as 'Starship Napoli AudioStudios', 'Independence Audio Productions', 'Pioneer Audio Productions'until he finally became part of the Darker Projects stable of audiodramas in March 2005. The last episode, 'The Forgotten War,Part 2' was released in January 2006. 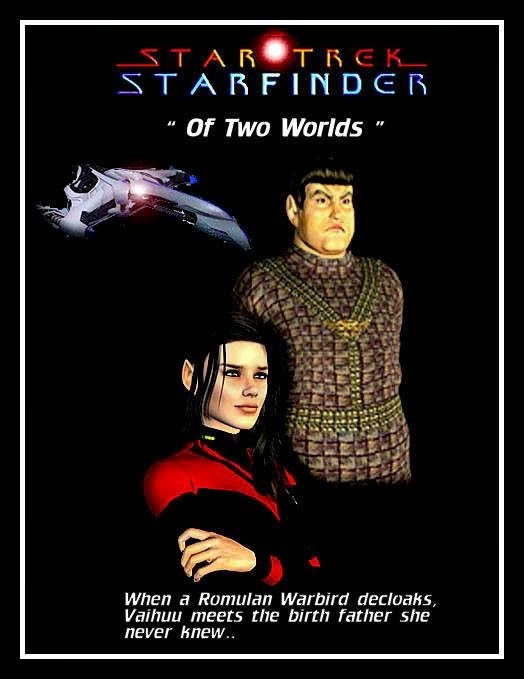 Not to be confused with the fanfiction series, Star Trek: Pioneer by Travis Cannon. Space is dark.Let’s face it. 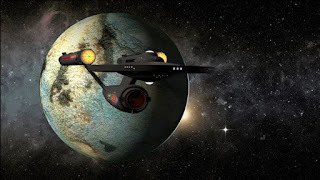 Theuniverse of shiny, well-groomedStarfleet officers and the pristine starships of the United Federationof Planets where the Prime Directive rules and hopes for galactic unityof all species is an ongoing quest is reinterpreted in our vision ofthe reality of the Star Trek Universe. It’s not all “let’s be friendswith our alien brethren”. 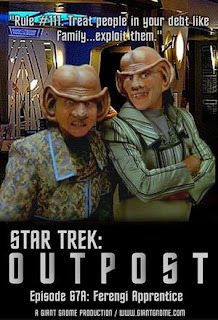 Here the Federation has a dark underbelly andthe daring crew of the Nosferatu boldly goes where Starfleet fears totread. These are desperate times. We are the desperate measure. Star Trek: The Section 31 Files Audio Drama. 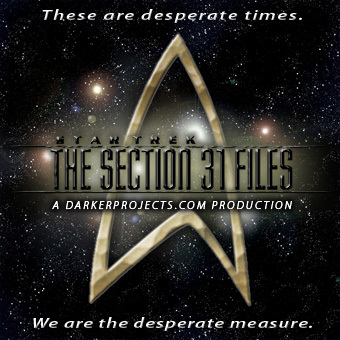 http://darkerprojects.com/section31.php 3full seasons and the first three episodes of a 4th season as of12/24/2013, (unchanged from August 2012) "Nero's Legacy,""Ghost Ship," and "Prime." Released July 15, 2015: A Short recording, Episode1.5 "Casualties of Conquest" http://shadowsoftyranny.com/vignette-1/ (3:31)or http://www.spreaker.com/user/stshadowsoftyranny/casualties-of-conquest (3:31)or https://soundcloud.com/star-trek-shadows-of-tyranny/casualties-of-conquest (3:31). StarTrek: Starfinder AudioDrama. . http://ussstarfinder.com/ 1st episode released February 28, 2013. It is set in the StarTrek Online universe. 5th minisode posted Dec. 23,2013. Pages allow live listening or download for listening later. 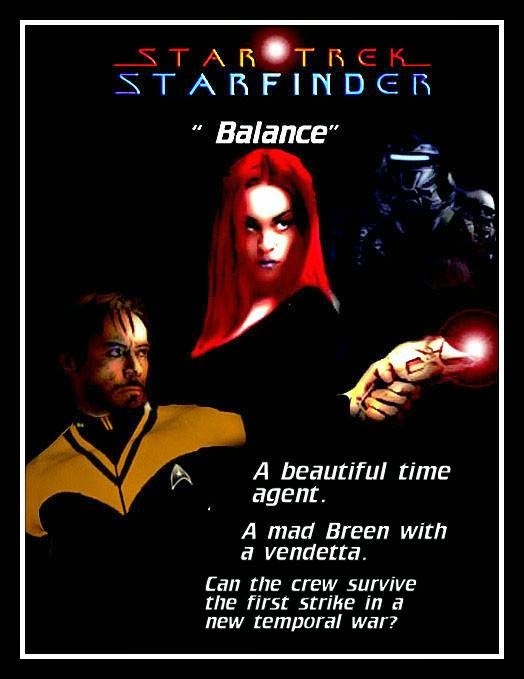 Facebook Page: https://www.facebook.com/StarTrekStarfinder . The story also includes comic books and prose, so this is a mixed series, primarily audio. I recommend you work from their website when reading and listening to this series. 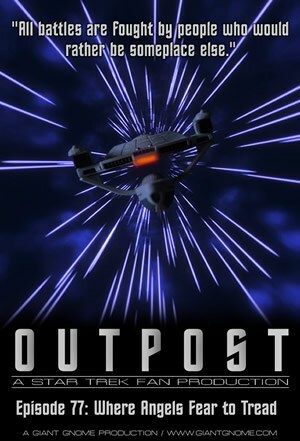 Crossover with another audio series, "Gates of Sto'vo'kor"
Part 1 "Message from the Outback," listen or download here: https://www.dropbox.com/s/s1uenzmnu6ze8yu/Messages_From_the_Outback_p1.mp3?dl=0 (33:19). On Nov. 29, Star Trek: Starfinder released this same episode. Listen here: http://www.gatesofstovokor.com/?p=1115 (33:18)or here: http://www.ussstarfinder.com/?p=1006 . 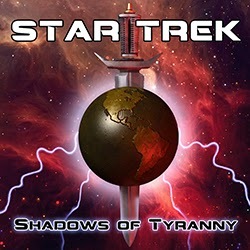 Part2, On December 5, 2014, Star Trek: Starfinder released "Gorn of ADifferent Color, Part 1," listen here: http://www.ussstarfinder.com/?p=1014 (59:04).This is Part 2 of the 4 part crossover with audio series, Gates of Sto'vo'kor. 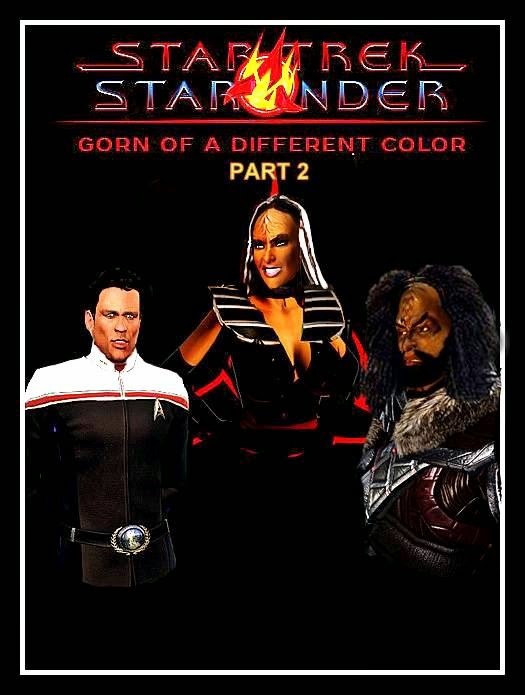 Part 3, On December 19, 2014, Star Trek: Starfinder released "Gorn of ADifferent Color, Part 2," listen here: http://www.ussstarfinder.com/?p=1036 . This is Part 3 of the 4 part crossover with audio series, Gates of Sto'vo'kor. On a diplomatic mission to the failed Earth colony Turkana IV, still under Dominion occupation despite the peace treaty and Dominion withdrawal, Captain Mattingly, CO of the USS Rembrandt, and his crew find themselves thrust into a bloody power struggle for control of the planet in which the Rembrandt's support ensures victory for any faction. Before it's over their mission will test their wits, their consciences and their belief in Federation principles. A new, short series from 4th Starveling Audio, with episode 2 in post production. Website, Facebook, Twitter, Youtube. 2: One World's Monsters, Part 2 https://www.youtube.com/watch?v=gh_NnbHJAGQ(53:24). The adventures of the USS Twilight and Captain Beckett. 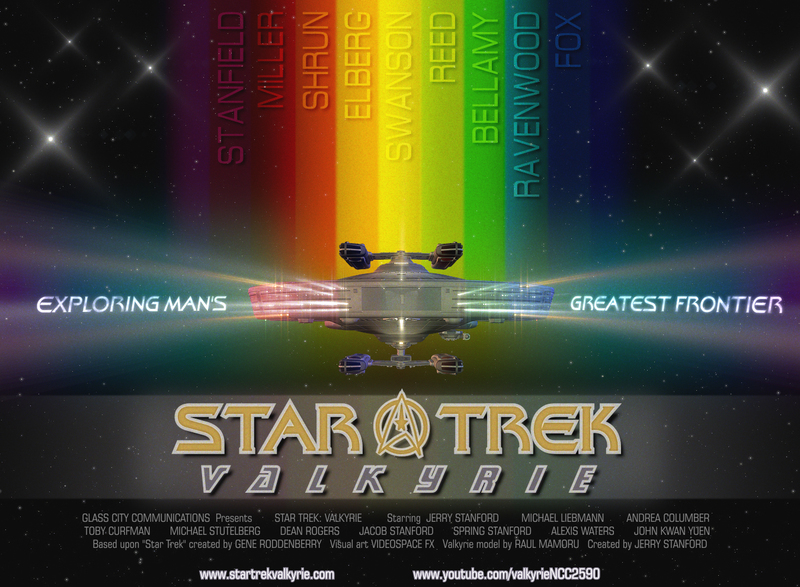 and the StarTrek Valkyrie Facebook page, and this thread at Phase II: http://www.startreknewvoyages.com/forum/index.php?topic=10588.new#new Did not bring up a page on 12/27/2013. Short 2, "Anniversary." released9/6/2014 https://www.youtube.com/watch?v=G66NJV_zxGI (10:01). Episode205, "TheInquiry," Released 11/02/2014 https://www.youtube.com/watch?v=FCTiruIm5yI (19:23). Episode 302 "ThePrimal Directive", Released 6/10/2015, https://www.youtube.com/watch?v=QdecEXV5LjE (46:17). Episode 303, "Canricians,"Released 9/18/2015, https://www.youtube.com/watch?v=vrS5qiboq0E (27:25). 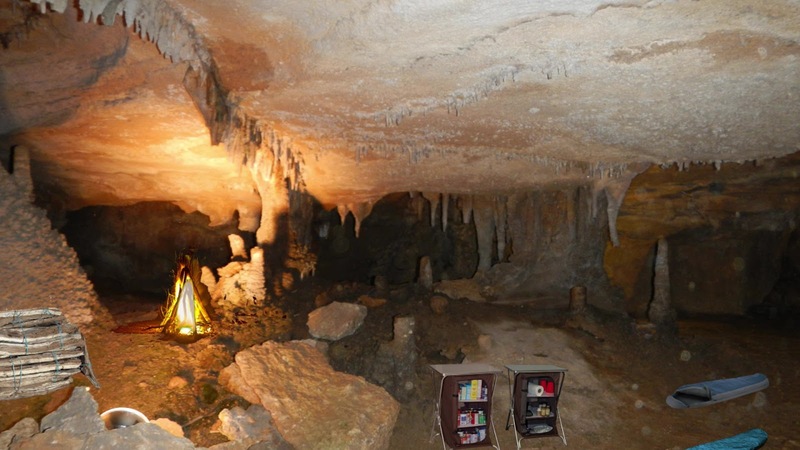 Thread on it at HF: http://forums.hiddenfrontier.com/index.php?showtopic=16089 . In late May 2012, reported still looking for voice actors for drama set in the late 23rd century. August 2012 brings Episode 2, No. 101, The Road to Tomed and on August 31, Eps. 102 "Disaster Strikes." OnOctober 18, they released Eps. 103, "A Problem of Titan Proportions"
Episode 1, Part 1 "Ghosts Part 1" https://www.youtube.com/watch?v=6fEsnxItEPU (17:59)(May 6, 2015) or https://www.youtube.com/watch?v=azYtSIlXae8 (17:59)(May24, 2015). Episode 1, Part 2 "Ghosts Part 2" https://www.youtube.com/watch?v=v6jeqdXdAeQ(20:02)(May 29, 2015). StarTrek: Xen http://www.giantgnome.com/our-shows/audio-drama/star-trek-xen/ 1stEpisode, Things Not Seen Part 1, released May 12, 2011. http://www.giantgnome.com/2011/05/stx-episode-1-things-not-seen-part-1/ No further news as of December 27, 2013. Marked as "Retired" as of April 2015. Tales from the DMZ(audio) http://www.allthingstrek.com/?cat=5 Nine Episodes complete the series, as of 2/14/2015. The Klingon paradox: If family honour is more important than life itself, what would you do if you had to choose between family ... and honour? 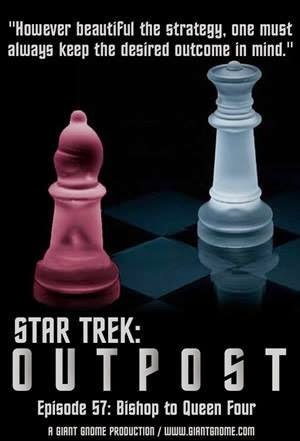 Produced by Kirok of L'Stok, an exceedingly handsome and witty TrekBlogger out of New South Wales, Australia, this is the only part produced of what was to be a trilogy. Episode 1 (An Audio drama about the politics of the United Federation of Planets. Episode 1, Listen here: https://www.mixcloud.com/codename_novus/ufp-codename-novus-episode-1/ (19:00). These are the Voyages of the Starship Sisyphus. Exploring the strange [new?] borders of improvised comedy and trekdom. A Chicago-based comedic improv group which creates live Trek comedy shorts, video and audio set in the time and universe of Star Trek: The Next Generation. WARNING: Some audio releases by Improvised Star Trek may not be family-friendly. Adult fans, Chicago, comedy, improv. See Star Trek Reviewed Blog 130 for their video output. 140 Episodes up to June 2016 available from their website, Libsyn, Facebook or on iTunes. 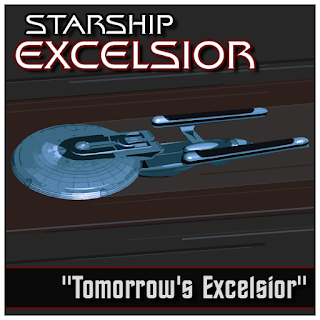 NX-01 released one episode, which was quickly withdrawn for re-editing and various tweaks (and probably rescoring by me, as I'd composed and performed the title music for it, which is available her: https://soundcloud.com/david-alexander-mcdonald/nx-01) although these were never done, I gather, and the project languished. I also voice Malcolm Reed. Thank you for the heads-up. Please let me know if the audio drama is ever released in final form so that I can include it in this listing. anyone have any links to the Defiant series 4-6? As far as I know, Defiant is no longer on the internet. Since you didn't give anyone information to get in touch with you, no one can give you a copy of their copy. You might consider posting this on the Trek BBS for fan films, with information about how somebody who has a copy can get in touch with you. to anonymous above: do you have series 1-3? maybe if you share those you can motivate someone else to help you out. 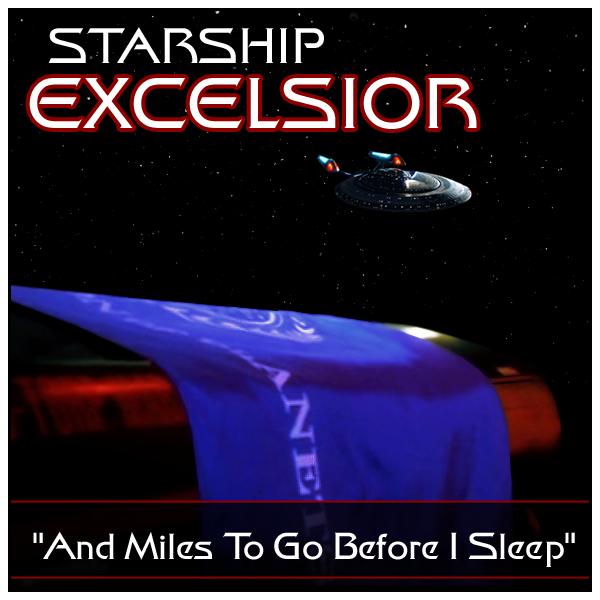 seasons 1-3 are found in a "star trek audio collection ver 3.0" torrent. along with a bunch of others. no "site" link but a general search found many places to dl the torrent file. I now have an ad-free link with ALL episodes of Star Trek Defiant, but not the permission of the person who uploaded it to post it here. I am therefore offering it to anyone who contacts me and asks for that link. You can leave a comment here with you e-mail or other contact information and the words, "do not post" (I won't post it with your e-mail anyway). Or, you can PM me on Facebook ( https://www.facebook.com/barbara.reader.9 ) for the link. 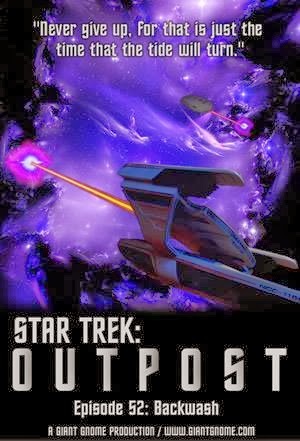 Again, ALL of Star Trek: Defiant is now available but I can't publish the link you have to contact me personally for it! I would appreciate the links if you still have them. I usually do not allow requests for these links to post. However, you have given me NO WAY to contact you. I have linked to you at Google and asked to contact there, but I cannot send to the link without a way to contact you. I will need from you a way to send you the link as well as a promise that you will not post those links publicly. 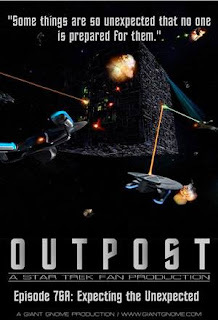 If you are willing to settle for the series in MP3 format instead of the original MP4 format, you can find those links above in the post under Star Trek Defiant. However, if you want a link to the original MP4 format, you must give me a promise to not publish it publicly and a way to send that link to you privately. 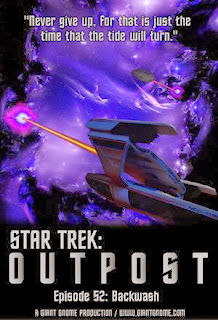 You can contact Star Trek Reviewed by e-mailing us at startrekreviewed@gmail.com. Bob, I have deleted your comment as requested and also tried, repeatedly, to send you the link to Star Trek: Defiant. Please let me know if you have gotten it or not! Star Trek: Valkyrie Special Episode 1 "The Captain's Table" is more special then it lets on. 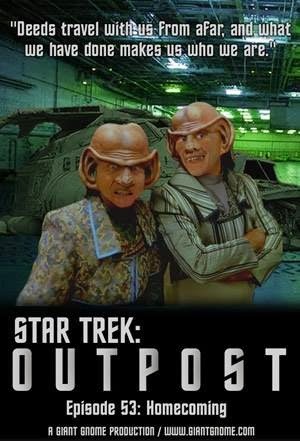 it's like the ultimate crossover of all star-trek fan productions. Captains from several fan productions meet and tell their stories, which are essentially recaps from real episodes. it's a great way to recap old episodes and to introduce different fan productions. i'd like to see, erm hear, more of that! It was my intention when I conceived and wrote that episode for it to be as you described. It took nearly a year and a half to get all the parts together from all the different actors/shows to get the episode you heard. We really appreciate your support and for yoru comments on this episode! 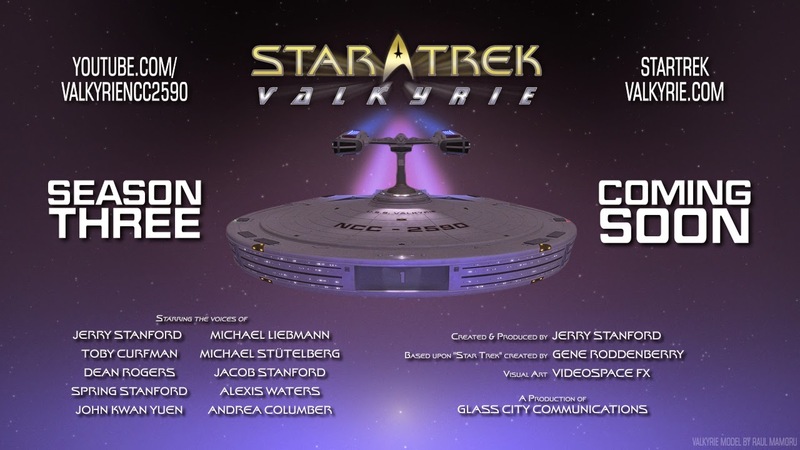 Star Trek: Valkyrie short 3 "Starbase 44" is based on the same event as Potemkins S2-J "Closing Time". if you listened to this, you should watch the other. I agree "Closing Time" should be watched as your suggest. If you check out our YouTube version, it has the video of "Closing Time" in the episode. It's also available on our website as the YouTube videos are embedded. Ep13 seems to be missing still.